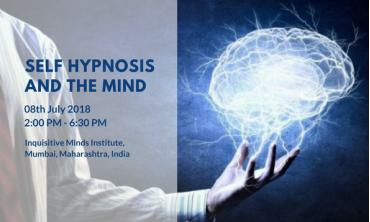 All our Hypnotherapy events/trainings in india are conducted by certified Hypnotherapists, who have at least one year of professional experience. When you book an event/training at Life Positive, you are protected by the Life Positive seal of trust. 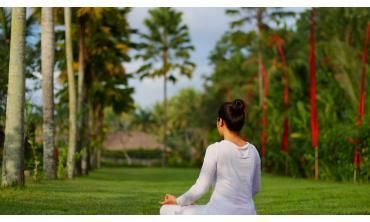 Self-Hypnosis/Power of Visualization & The Mind Many of us may have heard - " It's all in the Mind". But what really is the Mind and how do we use our mind t. . .
Lal Bagh Main Road, Vinobha Nagar, Sudhama Nagar, . . .
What is hypnosis? You have at some or the other point in life, felt hypnosis. Often in your everyday life, in fact. Hypnosis happens, for example, when completely involved in wa. . . 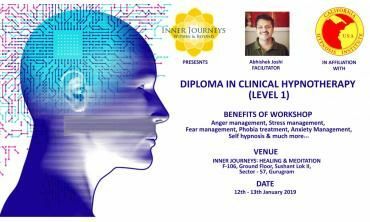 BECOME A CERTIFIED CLINICAL HYPNOTHERAPIST FROM CHI USA Inner Journeys: Within and Beyond in collaboration with California Hypnosis Institute (CHI) G. . . The new year brings with it, new hopes and goals. 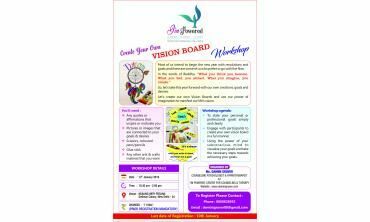 What better way to flow through the year than to envision and give a concrete shape to one's goals and desires? Start looking inside, whether you are giving life its importance and discipline it deserves? Struggle in any form is nothing but self-created illusion and it can always be dissolved by a simple ste. . .